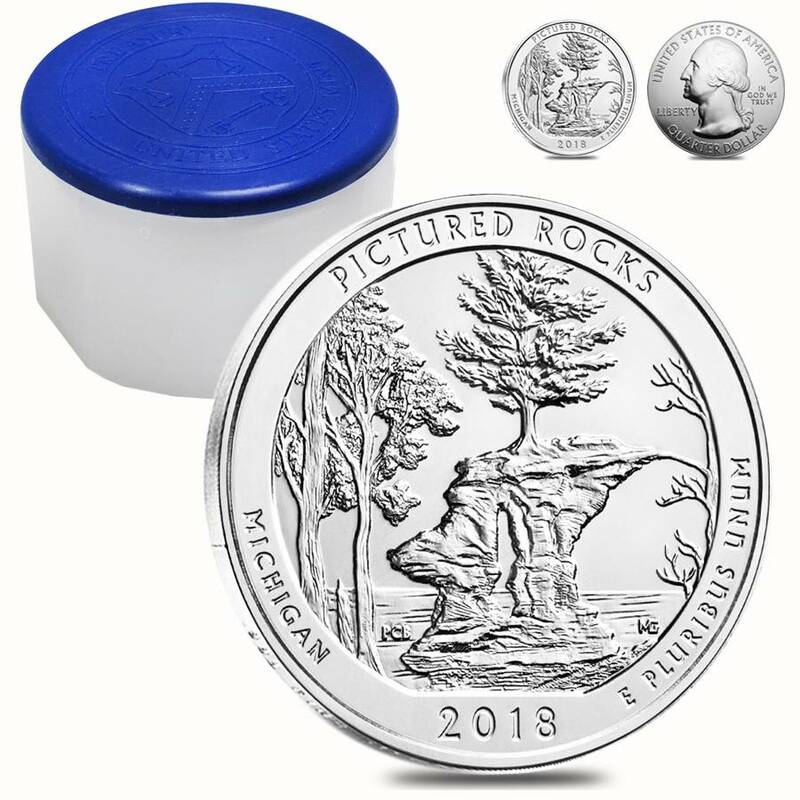 The US Mint introduces its first 2018 release of the America the Beautiful Silver Coin program - 2018 5 oz Silver America the Beautiful ATB Pictured Rocks National Lakeshore Coin. 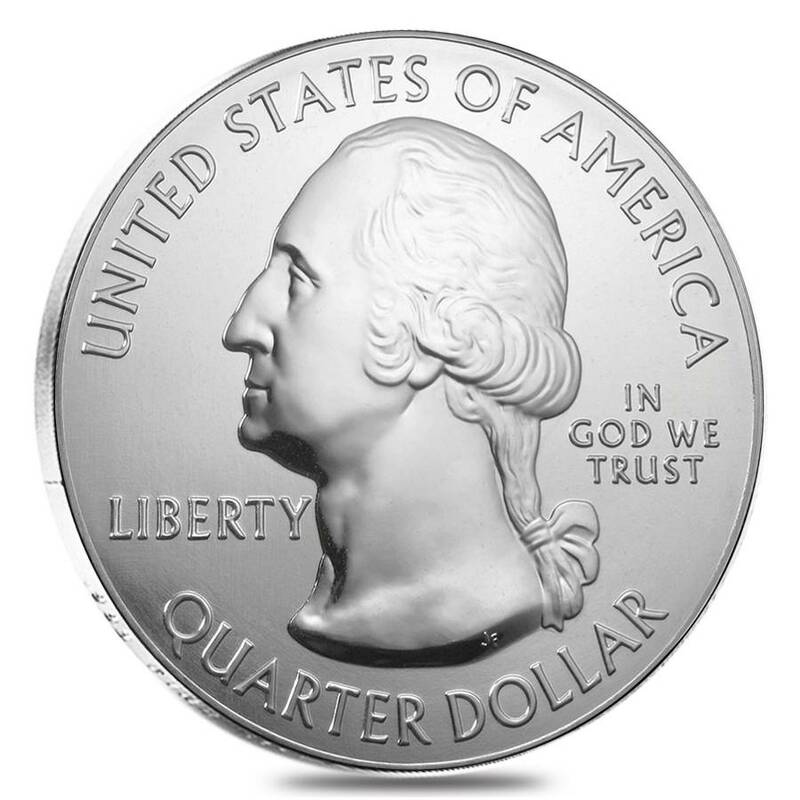 The ATB is a silver coin program started by the US Mint in 2010. 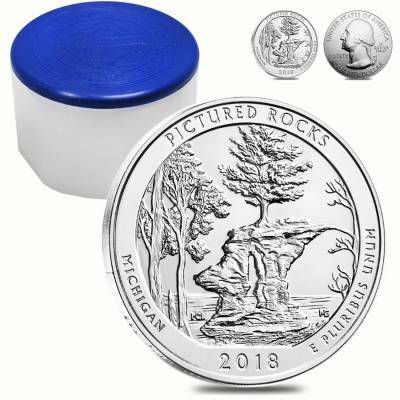 Since then, the Mint has been producing 5 quarter-dollar silver coins under this program every year - each featuring beautiful national parks and natural sites in the United States. 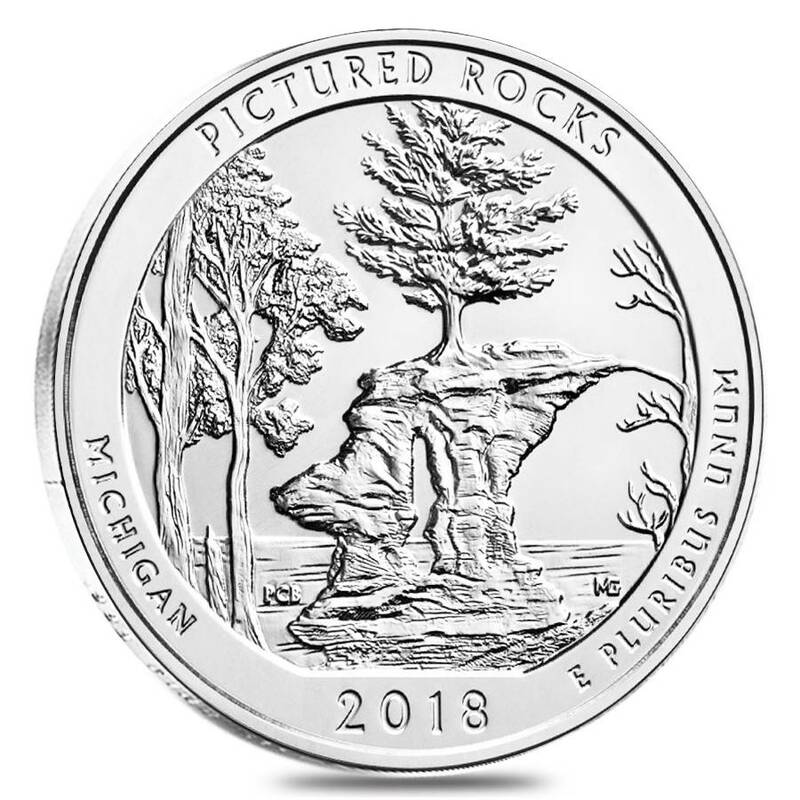 The Pictured Rocks National Lakeshore coin is the 41st release in the entire series of 56 coins. The obverse depicts a portrait of George Washington, created by John Flanagan's. 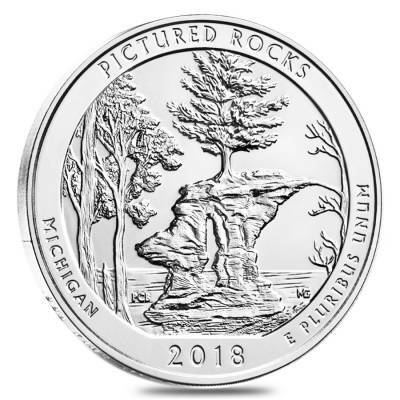 The reverse features the Pictured Rocks National Lakeshore, which is a US National Lakeshore in the Upper Peninsula of Michigan. It was established as the first National Lakeshore in 1966. The National Lakeshore covers 73,236 acres and forms a spectacular landscape consisting of hilly shoreline between Munising, Michigan and Grand Marais, Michigan. The place is famous for its magnificent and colorful sandstone rock formations that have carved out into natural archways. 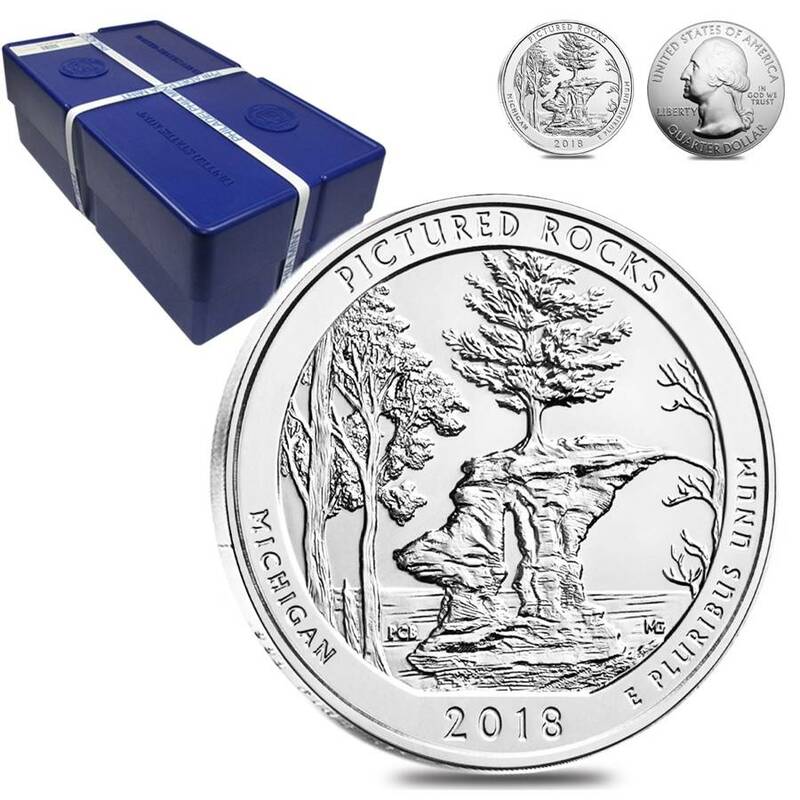 Made from .999 fine silver, with a weight of 5 troy ounces. Individual coin comes in a plastic flip. Lots of 10 come in mint-issued tubes and lots of 100 come in mint-issued tubes. Bullion Exchanges offers you a great selection of exclusive items from renowned international refineries. Add this coin to your collection today, and it will be carefully wrapped, packaged, and delivered to your address. If you have any questions, just call us at 800.852.6884, or send us a message, our customer service representatives will be happy to assist you. Michigan gets a bad rap because of Detroit but man, this state is beautiful. I love this coin for demonstrating that. Must buy for Michigan fans. You can't believe the detail on this series. I can't wait to see this newest one in person! This is such an excellent series, thrilled to order this today! Thank you! For every $1 spend, you will earn 1 Bullionaire Buck which is equivalent to $0.001 off a future purchase. 95 BB = $0.10.